We bring together young people from diverse cultural and faith communities through poetry, spoken word, art and music. We bring together young people from diverse faith communities for partnership, expression and friendship through poetry, spoken word, rhythm, music and art. We also serve to build bridges and relationships among participating schools, parents and communities through dialogue, education, performance and outreach. Our programs, Poetry Pals and Level, create an environment for children to come together, share their cultural experiences, and write and perform their own poems. The children learn tools to better express themselves and listen with respect to others, and along the way gain appreciation for other cultures and strengthen their own pride and self-esteem. 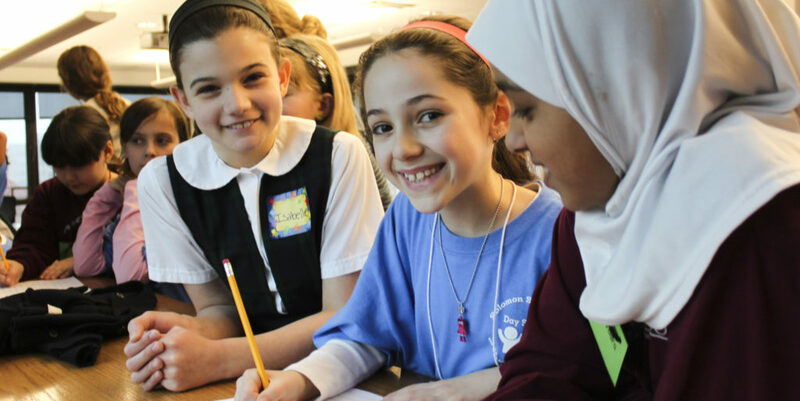 To date, our programs have brought together more than 2,500 students, educators and family members from diverse groups—including Muslim, Christian and Jewish day schools—and we look forward to collaborating with other faith-based and diverse community partners.